St. Johns, Newfoundland is a unique city full of its own special charm and the historic buildings in the center of downtown are incredible to see. 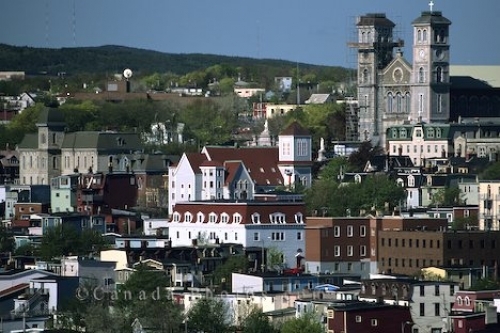 The capital city of Newfoundland, Canada is St John's and it is tucked away in the stunning harbour with the downtown area located just north of the harbour. The downtown core is home to many unique pubs that are located on the cobblestone streets amongst the historic buildings which are home to museums, galleries, churches and hotels. Picture of the historic buildings in the downtown core of the city of St. John's, Newfoundland in Canada.